Poured from a 12 oz bottle into a Spiegelau IPA glass. It is a murky orange color, with the most amount of sediment I’ve ever seen in a bottle of beer. Tons of hop or yeast particulate is bandied about by the ample visible carbonation. A large, fluffy off-white head hangs around. 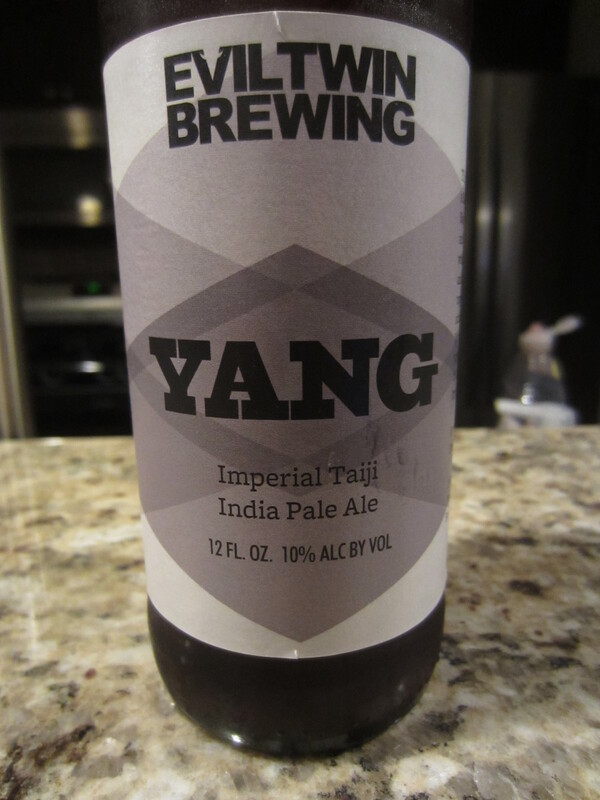 Yang has a sweet, slightly scorched caramel malt base aroma. The hops come through as tropical fruit, orange, and a hint of dank/pine resin. The bottle about 6 months old, so the hop aroma has obviously faded. I think a super fresh bottle would be less balanced (in a good way) and more hop-forward. 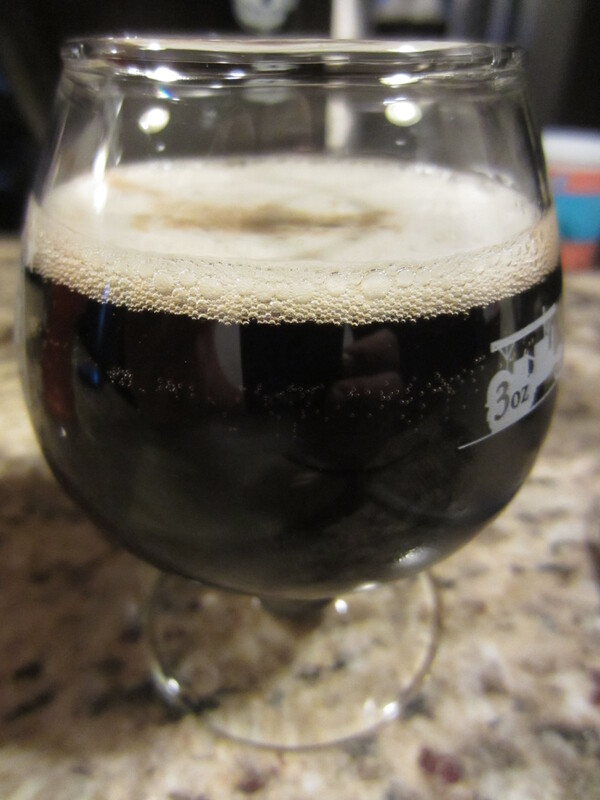 The body is very dry and drinkable, very thin in the mouthfeel. The IBU bitterness is assertive, but not out of whack for a 10% DIPA, and overall it is quite drinkable. The alcohol is noticeable, but light. 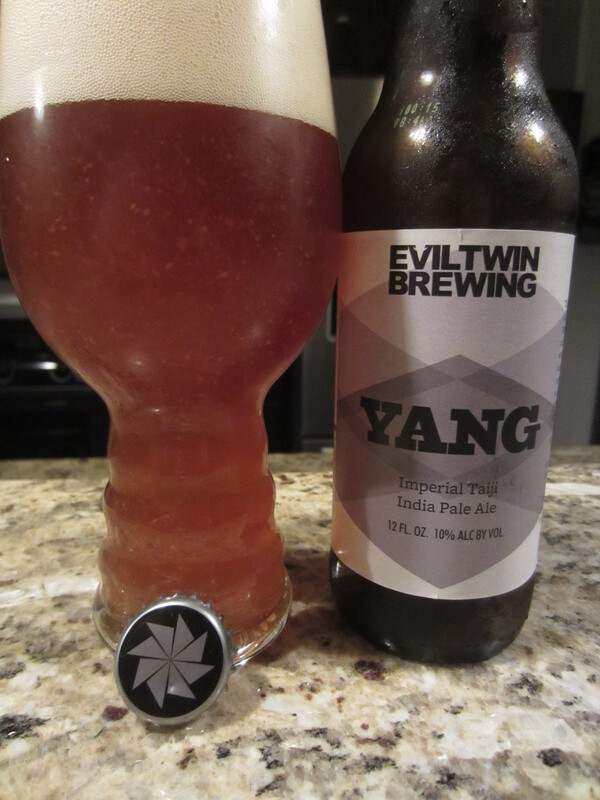 The malt and hop profile match the aromas; thick caramel malts, tropical fruit and pine hops.